VitaFresh creates perfect storage conditions to ensure that food stays fresher for longer and retains its nutritional value. Lock in flavours, nutrients and aromas and use the freshest ingredients with every dish. 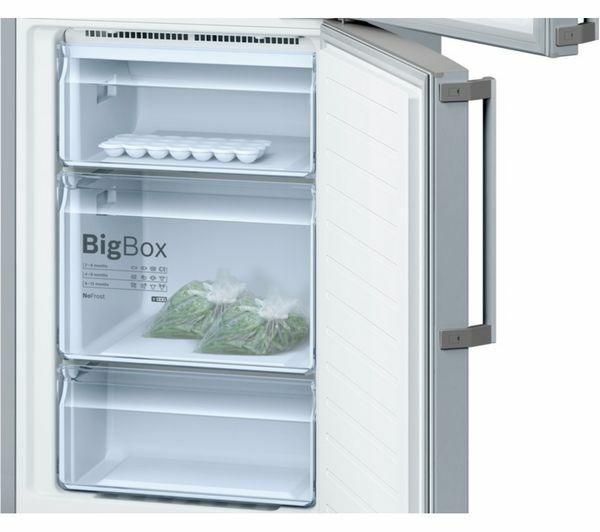 You can also rapidly chill and freeze your food using the Super Cool and Super Freeze functions, keeping food fresh and preventing your other food from getting warmed up. Bored of defrosting your freezer? 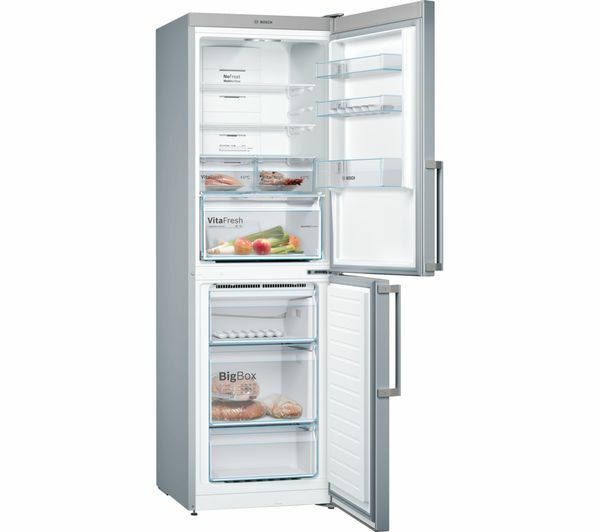 The Bosch KGN34XL35G 60 / 40 Fridge Freezer features a NoFrost system that prevents ice from building up, maximising the available space and automatically ticking one item off your chore list. Fruit and vegetables are an important part of a balanced, healthy lifestyle, so it's important to eat fresh. 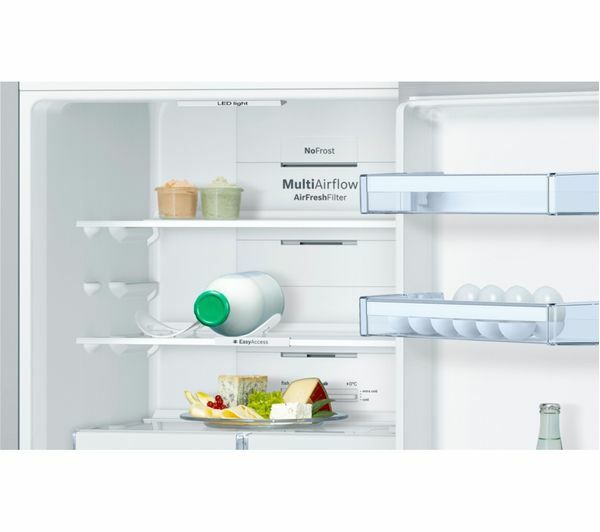 Multi Airflow circulates air efficiently around the fridge to help your weekly shopping stay fresher for longer. The EasyAccess retractable glass shelf makes loading and unloading far simpler by offering the perfect view. 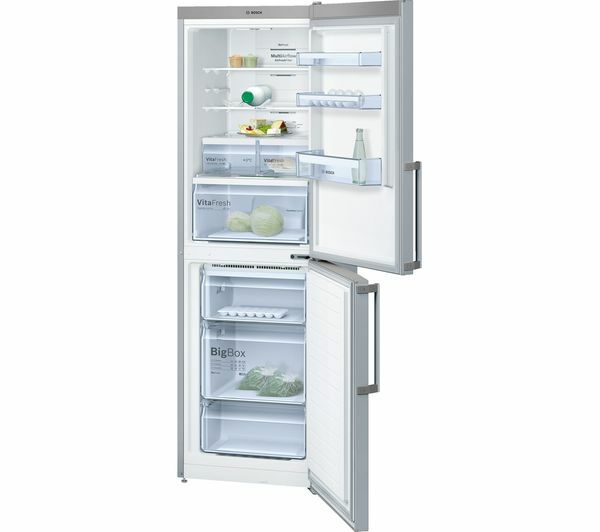 The VarioZone design offers flexibility with its variable-use glass shelves and drawers in the freezer compartment, as they can be removed to make additional space for larger groceries. PerfectFit means that the appliance can be comfortably positioned next to side walls and furniture, for seamless integration with your existing decor. 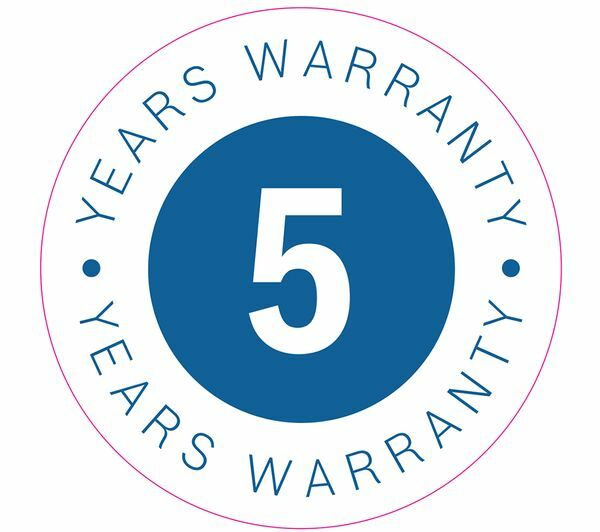 With a five year guarantee, you can enjoy peace of mind. 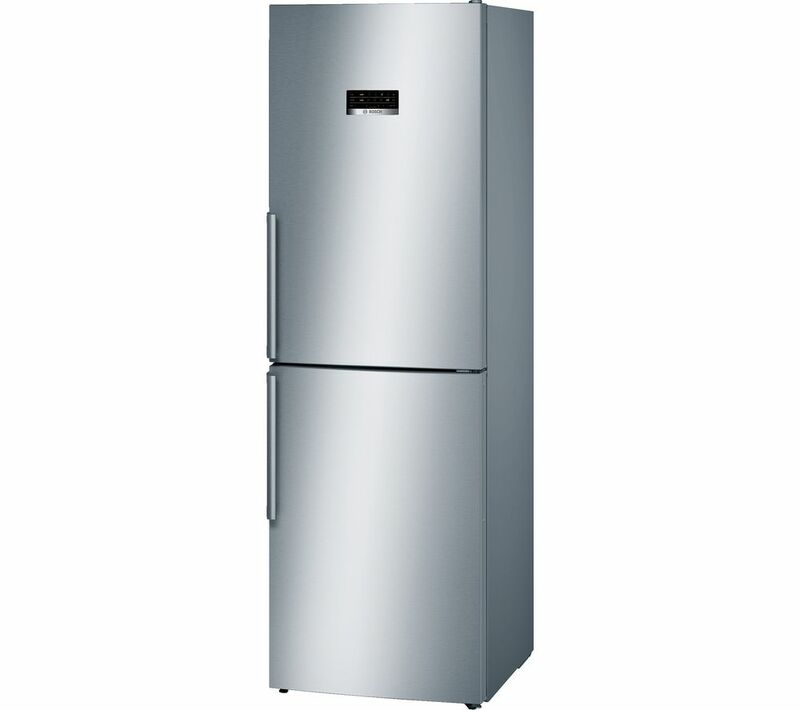 Very robust fridge freezer. Love the overall capacity in both compartments, the meat/fish drawers which are cooler than the rest of the fridge, the very large veg box, and the overall design. Open door alarm VERY helpful. Good to be able to set the temp in both compartmets. Door capacity in fridge is a bit limited for taller bottles. Would be helpful to get an actual temperature reading for both compartments - the indicator shows the set temperature only.